Being a stock broker or dealer is easier said than done. It is so easy to assume that those involved in the stock markets keep putting wins on the board (like Charlie Sheen). In reality, these folks need to watch the market and make tough decisions on a consistent basis. You can’t possibly make good financial decisions if you do not have all the facts in front of you. In the case of those involved in the stock market, keeping up with the latest market changes is a must. MarketWatch Market Data App is a handy application for your iPad that keeps you updated on what’s happening in the market throughout your days. 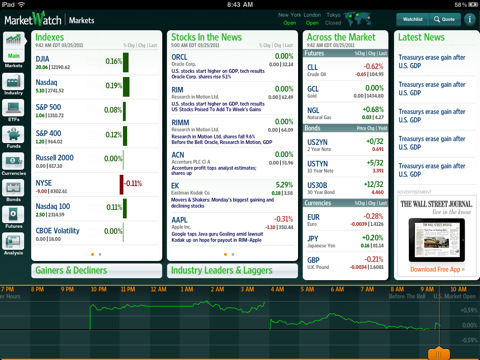 MarketWatch Market Data App for iPad puts the stock market right in your hands. You can keep track of mutual funds, currencies, bonds, futures, and other derivatives. The app provides you with real time quotes of the companies you want to track. 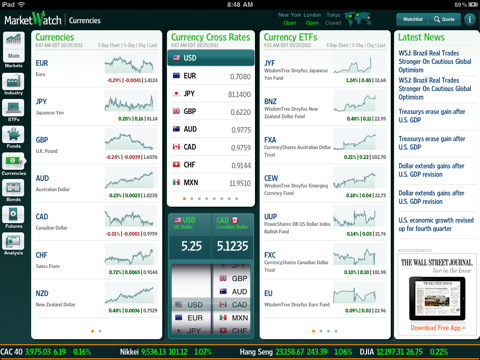 It does not matter when you use this app as it covers the global markets. Market Watch is a pretty decent online portal for investors. 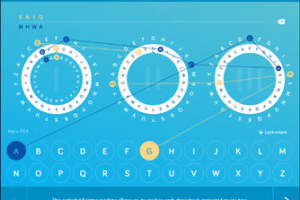 This app takes full advantage of the information on those sites to provide stock investors with a ton of useful information. MarketWatch Market Data is very well made and has a ton of information on stocks, derivatives, and other “market stuff.” The app is social friendly too, just in case you want to share what you learn from this app with the world. I did find the ads to be a bit annoying. But MarketWatch Market Data has a lot of potential. If you like what MarketWatch offers online, you are going to love this app too.